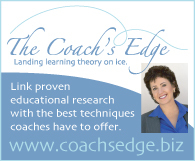 An interview with Rory Flack, top professional skater, coach, and creator of Ebony on Ice. 47 minutes, 25 seconds. On her most embarrassing skating moment: In 2005 I was doing a show in Lithuania, and I went to go into my triple toe and completely missed my tap. And I turned forward into kind of a belly flop off the ice. I slid and my body hit the floor, because there was seating on the ice. I got up and went on, but it hurt. I couldn’t lay on my stomach for three months, I bruised my hipbones so bad. I didn’t hit any people, though. I was coming straight down the middle, so I landed in the aisle [laughs]. On how she got started in skating: I saw Dorothy Hamill skating on TV just before I turned five, so it must have been worlds or something because my birthday’s in April. I turned channels and I saw her gliding across the ice, and she was just mesmerizing. And when she was done she took her bows and everybody stood up and applauded, and I was like, that’s what I want to do. And I’ve told her that she’s the reason. When I did my first shows in Ice Capades, she came in and did some guest appearances, and we actually became very close. On her coaches during his amateur career: My favorite coach ever, his name was Ray Balmer, and he was like a father figure to me. He treated me like his child and did so much for me. And he inspires me as a coach now, how I work with my skaters and how I feel about them. We had such a close connection, I couldn’t wait to get to the rink. I also took from Robin Cousins when I was 17. And I was one of the first skaters at Ice Castle in Lake Arrowhead, where I took from Mr. Nicks. On missing her first competition because of chicken pox: I tried to hide it but I was scratching too much [laughs]. I’ll never forget it because when I put on my skating dress I put on a turtleneck underneath and I told my mom, I think it’s going to be cold at the rink. But I was scratching and she looked under the neck of my turtleneck and saw all these bumps, and she said, you can’t go. And I was like, but I’m OK!, and she said, this is chicken pox and it’s very contagious so you can’t go [laughs]. 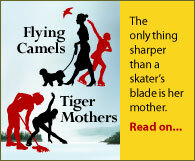 On her mother working three jobs to pay for her skating: She was a respiratory therapist and she worked at three different hospitals. And she was a single mother, and, yeah, she did everything she could when I was younger for me to skate. And yes, she did say to me, I’m putting all this money into what you do, so this is your college. And I was a paper person, a paper boy, I threw papers in the morning before I rode my bike to school. Now I tell everybody at the beginning, this is a very expensive sport, and the better you get the more it costs. But I don’t think I ever felt [pressure] from my mom. What I struggled with, that was my own, it wasn’t thrown at me by anybody else. I know she worked hard, and my sister played the violin, so she had lessons too, and my mom worked hard for both of us. And I understood that, because I didn’t really see myself going to college anyway. So I was like, I’m going to take advantage of everything she can offer me right now. And she struggled, like a lot of parents do. She struggled to make ends meet, and I tried to do all that I could. I had two paper routes, and then sometimes I’d do an afternoon route too for the evening paper, and I helped as much as I could. On competing at the same time as Debi Thomas and being a minority skater: It was a huge responsibility, and it was a responsibility that the community put on me. And Bobby Beauchamp, he was there too. And Mr. Nicks made us aware of what was going on in our sport at that time. It was really a great thing. To me, I was just skating, so you don’t really realize, being 15 and trying to get to your goal, how it’s going to affect other people. And I had my whole community behind me, and the three of us, the whole black community was behind us. There was a little bit of pressure there. On having her photo used on the Saturday Night Live TV show in 1987: I was sleeping and I woke up in the middle of the night, all groggy, and looked at the TV and there I was. I was told by NBC that they expected me to place higher because I skated so well, and they showed my split jump during the newscast and they were like, can you believe she got 10th or 12th or whatever. And it was really cool because it was an acknowledgement that I skated really well, and they just could not believe that I didn’t place better. But they don’t tell you anything — nobody said, oh, watch this show. I just woke up and saw it. And it was a slumber party, and I was like, look, you guys, did you see that? I was on! And they were like, uh, no, and I was like, really, it was me, I was on [laughs]. On her flexibility: The only thing I did that was spectacular and different was the split jump. We had a spiral sequence, and I worked my spirals religiously, but people didn’t really do that back then, and I always wanted to have a great spiral. But a spiral is flexibility and strength, and the split jump is just a flexibility move, and timing. The thing that we didn’t do so much is Biellmans. And back that, well, just Denise Biellman did it. So I didn’t know how to use flexibility to my advantage except in my split jumps. So I put them in every program. I did a variation on the Biellman, and nobody did that. And I did the broken leg [spin], and I teach my 10-year-olds that now, but nobody did that back then either. [The flexibility] is natural. I’ve had many masseuses who, if I hurt something, say it’s hard to get in there where the muscle is actually tight because I’m so flexible. They’re trying to adjust me and they have a hard time with it. On her Russian split jumps: I’ve been doing them for so long, I don’t know if anybody actually taught me. It was something that I saw and I just started doing it. And the more I did it, the better it got. It was the most natural thing I did, and I think it’s been how it is since I was 10 years old. On retiring from amateur competition: I was 20, going on 21, and that was not young then [in the early 1990s]. I had injured myself, and my doctor said that it was a really bad injury, a back injury, and I would never really walk well again. So I thought, well, that means I can’t train, I might as well turn professional, and that’s how it was then. If you did a show, there was no coming back, so you had to make a choice. And I remember, it was 1991 but it was the 1992 season that my back was injured, and I applied for a bye from Regionals to Sectionals, and I was denied [even though] I had been to Nationals before. And the USFSA was like, your doctor says you’re not well enough to skate, so why should we allow you in there and not somebody else. And then my progress got better, really fast, and they gave me a bye. And when I got to Sectionals, it was the West Coast, so it was Tonya Harding, it was Kristi Yamaguchi, it was a strong section. And I reinjured myself while I was there, and I think I was sick, and it was my last competition. And I was devastated because I knew that it was for me, it was never going to happen and I could never come back. But my body just didn’t want to quit [laughs] and I got back into it and started my career as a professional skater. On being an Ice Capades cast member: At the US Open, I had won the Challenge Cup part and was third in the Master’s part, and my whole goal there was to get asked to a show. It was funny, I was the female star [in Ice Capades] and the headliner was Cathy Turner, who was a speed skater. So it was an interesting experience. They hired her because she was the first woman to win an Olympic gold medal in short track speed skating — it was the first year that was in the Olympics, in 1992. But she couldn’t do any publicity because she was a speed skater. So they treated me more like the star because I did all the publicity. What she did in the show was, there was one section — I’m sorry, I’m laughing because I remember it — where they put markers out as a circle, and she raced the chorus boys. That was all she did [laughs]. I remember when they were like, Rory, we need you to do all the publicity. And I said, well, then you gotta pay me more. And they said, all right, we’ll put you as the star, she’s the headliner, but you’re the star. And I got a raise and I got to be in the Macy’s Thanksgiving Day parade. So it worked out really good for me, and I had a great time. I only had to skate two solos in the show, and when Dorothy Hamill came in, I only skated one number in the show because she skated the other one. Sometimes they needed a bigger headliner than the speed skater, so they would bring Dorothy in. On having a long professional career despite not having as many amateur titles as other professional skaters: I think it’s because I love the audience, I love the crowd, and I like to make people happy with what I do. And I’ve grown as a skater, being under the spotlight all the time. I feel like my career began as a professional skater, because I really had to step up to it, being among the Olympians and the world champions, and make a name for myself in a different way. That’s why I learned the backflip. And everything I did, I just put everything I have into what I do out there. And with everything that happened in my life growing up, the ice rink has always been my sanctuary. And it still is, and it’s still great to be in demand, with people still asking me to do shows at my age. It’s a great feeling to know I’ve touched so many people. On her backflip: It was not easy [to learn]. I have a great friend, Doug Mattis, who told me to learn something that nobody else does. And only two other women did it, and they were both coaches at my rink growing up. So knowing that they did it, I was like, OK, I can do it too. But it literally took me two months of gliding in circles on the ice with my friend, and I just couldn’t get myself to do it. And one day after gliding around for an hour and a half — my mother taught me all these different methods of meditation on the ice, to get my mind straight, and finally I was like, OK, you want to do this? You want to be something for a long time? You have to do this, you just have to get over this, Rory. All of us skaters, we talk to ourselves when we’re out there [laughs], and I just went out and did it. And I came out backwards, and I sat down because it was a complete rush. And I looked up and I saw my friend Doug standing there, and I was like, I did it!, and he was like, yeah, you did, and I was like, that was easy [laughs]. And he started laughing at me, and so I did it again and came out standing up nice and tall. It’s really in the head, it’s a guts move. After I had my first child, it was the first jump I did. You know you’re going to land on two feet, so it’s easier than a triple. On the type of ice show she likes to do: I enjoy touring, and I enjoy touring in Europe. It has nothing to do with what’s on the ice, it’s more about the interaction off the ice. In Europe, the cast is a family. You eat all your meals together. In the States, after rehearsals, everyone does their own thing and then comes back the next day. I like the family thing, and that’s just the way that they plan everything. The shows are longer there, so afterwards you might get on the bus for an hour and you’re all talking and everyone’s adrenaline lets down around the same time. So you stop and you all sit at the same table and you eat and then you go to the hotel. So the only thing you do alone on the tour is sleep [laughs]. And it’s fun and I love that. And it’s only once or twice a year and it’s always a different group of people, and it’s great and I love that. On the Ebony on Ice show that she produced: It was a lifelong dream of mine to have a show with all African-American skaters. And from the time I started coaching I started watching all the black skaters that started coming up, and watching them get better. And I had the opportunity to put a show together, and it was a fabulous show. The idea could be whatever I wanted, and I thought, well, let’s just go through time. Because there were just so many pieces of music that I liked, and I thought it would be a great way to tell the story of the music, how it started and how it came from Africa all the way to America, and how it’s evolved and changed. And it was really cool to work with all the kids I’d watched grow up in skating, and to give them the opportunity to be part of such a great experience. Derrick Delmore couldn’t be in it because he was always competing, but Rohene Ward, Andrea Gardiner, Cohen Duncan, they were the first ones on my list. And they were all still competing too, or going to school, so it wasn’t easy to get them. But I had a lot of skaters, and a lot of kids came and auditioned too. On being asked to restage the show for President Obama’s inauguration: It was such an honor, and it was devastating [to say no] but I couldn’t get things together fast enough. There was really no time. The Lincoln Theatre had everything blocked out for us, we had played there before, and when they called, they were like, the employees here still talk about your show. On her future plans for show production: My dream is to be able to produce shows for all the skaters that have a dream of being in a show. And I think a lot of that is from where I came from, not having those titles and having to work my way up. We don’t have those avenues any more. There’s no more Ice Capades, there’s not very many Disney on Ice shows with the economy the way it is. And I thought of a reality show because people love reality and there’s drama in skating, as we all know [laughs], and what a magnificent show that would be, to get behind it, like So You Think You Can Dance, to get behind the scenes and see what people are made of in skating. It’s not just about competing, it’s not just about world titles. When I was a teenager, that was the first time I met Scott Hamilton, he was doing Benson & Hedges Stars on Ice. I remember walking down and meeting him, and Kathleen Schmelz was in his show. And I remember thinking, I don’t know her, and he said to me, you don’t have to be an Olympic champion to be in one of my shows. If the crowd loves you, then you can be in shows. And that was inspiring for me. I tell my skaters, you have to feel free, you have to let go and be able to jump, and fly on the ice. On coaching in Alaska: [Skating’s] not huge at all, it’s dwindled down to nothing. Because it’s so cold people don’t want to spend time in an ice rink. And it’s so about hockey up there that it’s hard to find time for figure skaters. I still go up there and I still do Keegan [Messing]’s choreography, and work with him on spins, and make sure that everything he does is up to par and gets the most points possible for everything, but it’s hard. There’s just not much skating at all. There’s a lot more here in Utah. On coaching her son in pairs skating: I love coaching him. When he was six years old, he didn’t start skating until he was eight, we called Remington The Negotiator because he negotiated everything. Do you think if I did this, I could get that, you know. So he says to me one day when we were driving home, so, Mom, you’re the one who people come to when they want to be champions, right? And I was like, yes, that’s true, because in Alaska that’s how it was. So he says, if I ever skate I’m going to take from you. And I went, OK. And he started skating two weeks before his eighth birthday. And when he was almost nine, same thing, sitting in the back seat, of the car, he says, hey, Mom, if I win the Olympics do I have to go to college? [laughs] And I went, well, you probably wouldn’t have to because then you could do shows and do whatever you want. And he said, OK, then I’m going to win the Olympics. And I said, good for you [laughs]. But I have always said, because he is destined to be very tall, he’s going to be a pairs skater. And I think he’s going to be a great pairs skater one day. And he loves to skate. When he found skating and decided he was going to skate, and we had some tragedy in our family when our house burned down, I was doing a show for my club and he decided he was going to be in my show because he wanted to skate. And I was like, that’s cool. And all of a sudden there was one aspect of his life where he could do no wrong. It was OK if he fell, because it was like I always tell him, we learn from our failures. So take the fall, I can only correct you if you do it. If you don’t do it there’s nothing for me to correct, so take the fall. And he just started liking to skate, and now he loves to skate, and I love to watch him. And he has a great partner and he’s just a joy to teach. On her skating now: I can do [triple] toe right now, and I haven’t done much of anything else because I don’t need to [laughs]. Sometimes I get inspired, and I didn’t skate for almost a year now, but I got called to do a show and a short tour in Moscow and then the same in China. So I got on the ice this morning and skated around, and it felt really good. And I’ll get to that point where things start happening, and I’ll have a day when I do all my triples. As Pres. of the La Jolla FSC where Rory trained in her early years; she was a very disciplined eager very talented skater and role model. We were delighted that she represented the Club in her early yrears and I was delighted to have her mother and her as friends.Congrats on all your successes. When judging in Alaska I am sorry to have missed you.